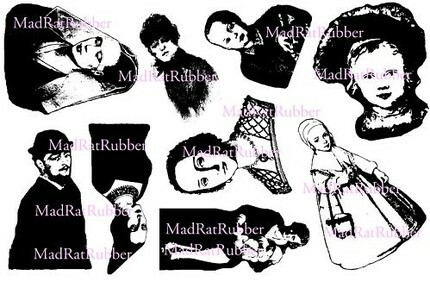 I recently came across a really cool stamp shop on Etsy called Mad Rat Rubber. They carry alot of neat artsy, collage style images and I found they also have a larger online website site where they’ve just released 57 new images including lots of great backgrounds, borders, flourishes, phrases and more. Click here for their Etsy shop and here to see all the newly released stamps on their website.